Abstract Marine and freshwater basidiomycetes are few in number compared to their terrestrial counterparts and colonize a wide range of substrata: sea-grasses, feathers, wood associated with sand, free floating in the sea, but most occur on mangrove wood or timbers submerged in the sea (boats, piling, sea defences), and leaves and twigs in streams and rivers. They are an ecological group and taxonomically diverse (Agariomycotina, Uredinomycotina and Ustilaginomycotina). Most are able to utilize simple carbohydrates, while filamentous species can decompose cellulose, hemicellulose and lignin. 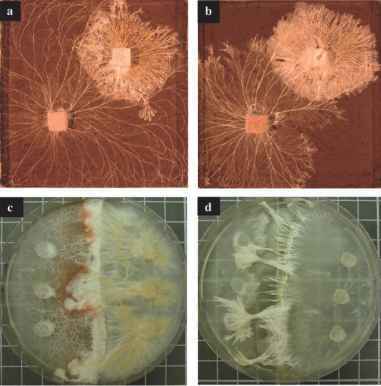 Aquatic basidiomycetes are well adapted to their habitats, with reduced basidiomata. Marine species are known only as teleomorphs with basidio-spores generally released passively. Freshwater basidiomycetes are primarily known by their anamorphs on decaying leaves, with conidia that are much branched, while their teleomorphs occur on land and on woody substrata.